Source all the tile sets! There hasn't been too much in the way of Sprytile development because I've been focusing on getting some art created with Sprytile actually finished. 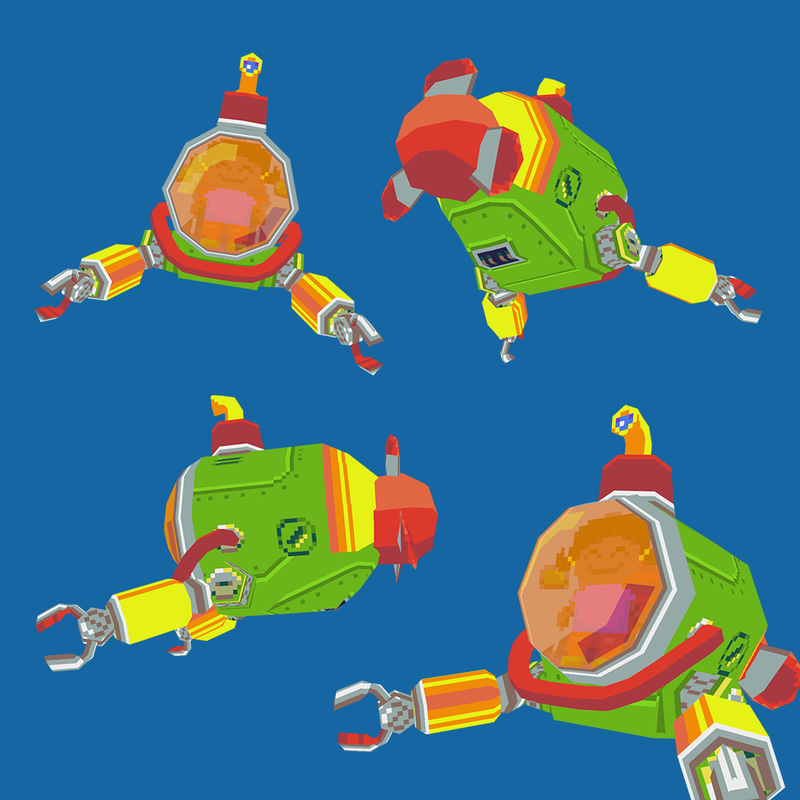 The scene I have planned isn't completed yet, but I've got a cute little submarine out of it! I'm posting progress reports in the Sprytile forums if you'd like to follow along. 0.4.1 is out, source all the tiles! One of the issues with using sprytile is that unless you have your own set of tiles, there isn't really much you can do with it until you start creating your own. There's a plethora of great tile assets, both free and paid, enabled by another piece of open source software the Tiled map editor. The problem is, these tile sets are not compatible with Sprytile. Until now! Thanks to a feature request I received on Twitter, I've implemented a simple setting that allows these assets to be used with Sprytile. For example, here is a scene built with Kenney's Rougelike/RPG pack. 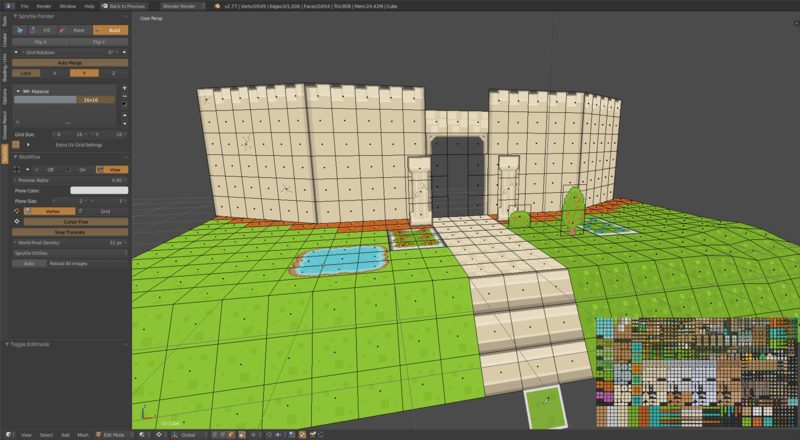 Sprytile is not optimized for building with asset packs like these so the UI is not ideal, but it does allow you to start using Sprytile with a wide range of readily available tiles out there. 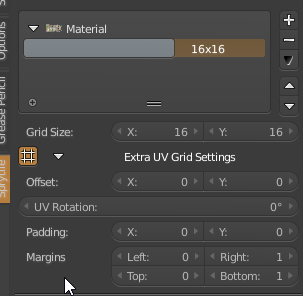 To access the settings, expand the Extra UV Grid Settings of the selected tile set and change the margin settings as appropriate. For assets that were meant for the Tiled editor, change the right and bottom margins to the setting noted in the asset pack. You can start by checking out the assets on itch.io, or over at Kenney's assets. If you make something neat with Sprytile, let me know on Twitter or through the community forums! If you found Sprytile useful, your financial support for the tool would be much appreciated! If you can't right now, I understand! Your honest rating on the Sprytile page would be fantastic too!